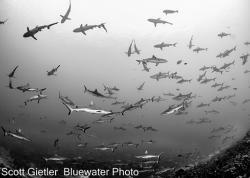 If you're like me you love diving, traveling and new underwater photos. 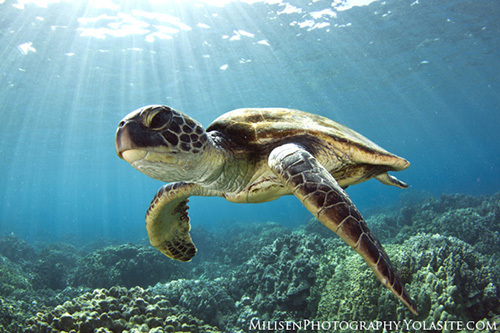 We publish many tutorials, tips and reviews at the Underwater Photography Guide to help improve our u/w photography and find inspiration for new images. 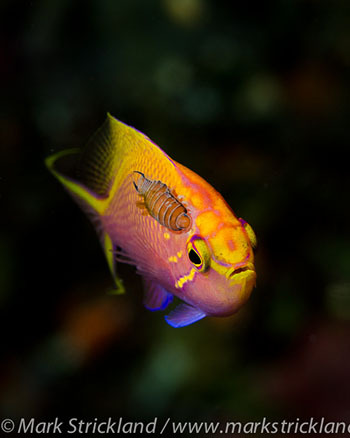 It's always "dive season" somewhere in the world, and this feature celebrates some inspiring images captured this past winter by ten incredible underwater photographers. 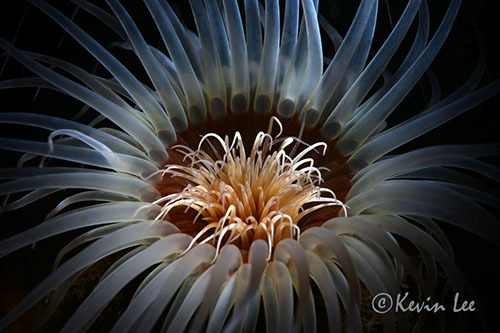 This anemone is simple but stunning macro. Perfectly lit, perfectly framed, just the right detail and depth of field. 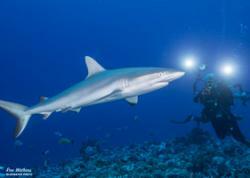 The front fin creates a great "leading line", and the sun-rays really make the shot. A simple wide-angle shot that keeps drawing you in"
Incredible natural history photograph, with perfect exposure and great bokeh. 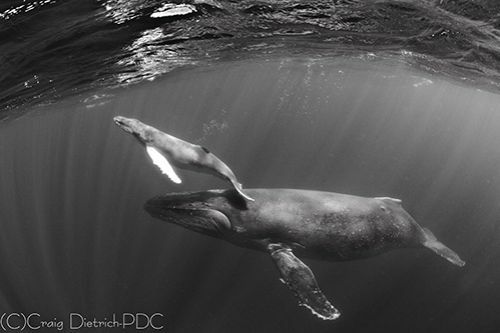 Humpbacks are expected in Socorro in February topside, but this year many divers got a special treat underwater. Craig nailed the shot. 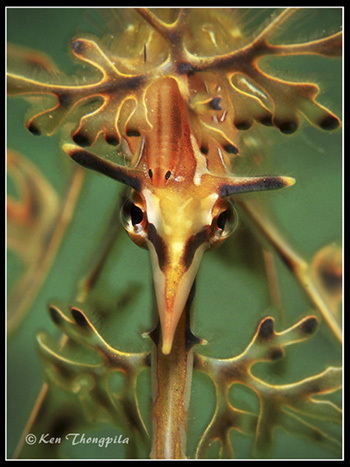 Ken used just the right composition and depth of field to produce a winning leafy sea dragon shot. 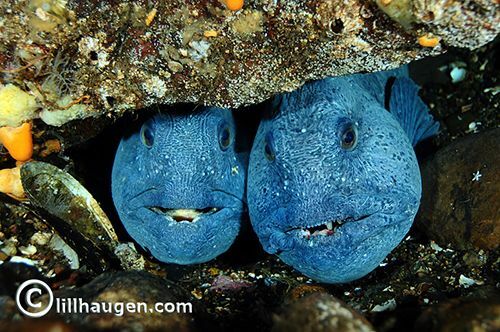 Braving the cold waters of Norway, Lill captured a special moment with just the right expressions - two wolf fish truly in love. 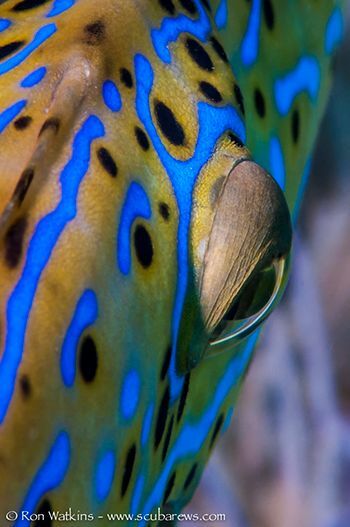 Ron went for the artistic point of view on this fish, one that we all love to photograph and admire for its wonderful blue patterns. 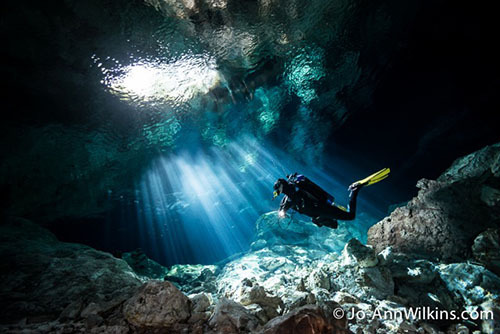 Diver, light beams and surface reflections all add up to a stunning wide-angle shot. 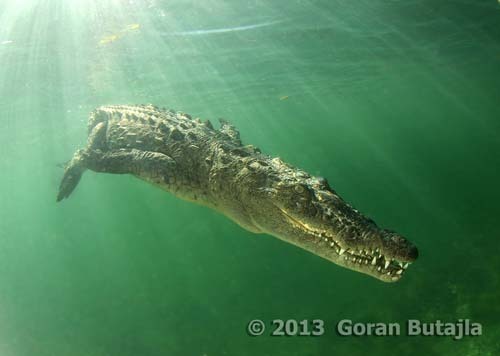 Crocs are not your everyday subject. They are dangerous, hard to find, and not easy to photograph without losing a finger. This photo has a dramatic close-up point of view, enhanced by the distinct sunbeams. 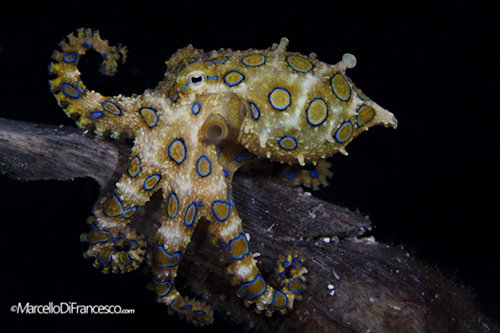 Dramatic black-background photo of one of the most beautiful & deadly octopus. Do you have great photos from the spring (March - May 2013)? We're accepting submissions for our next Friends of the Guide photo feature. Email brent@uwphotographyguide.com for more details. 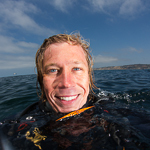 Brent Durand is an avid California beach diver, underwater photographer and editor with the Underwater Photography Guide. 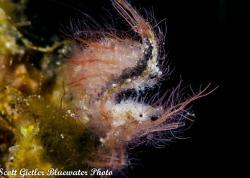 You can follow UWPG on Facebook and also read Brent's featured article on shooting a Melibe Nudibranch congregation.